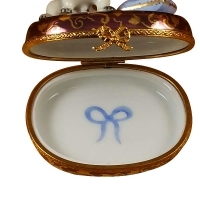 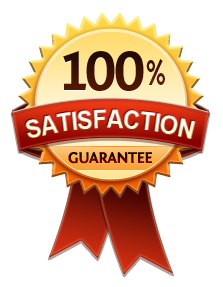 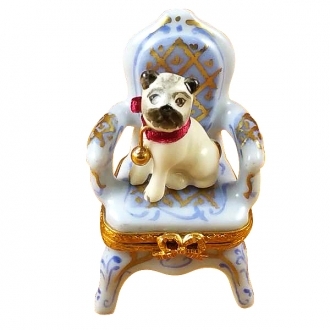 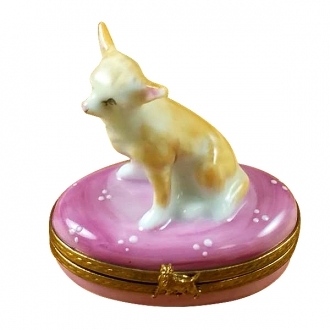 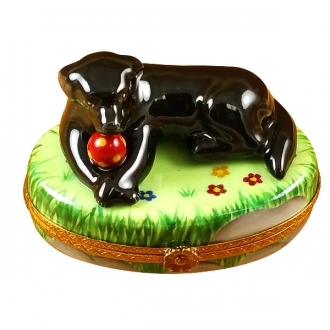 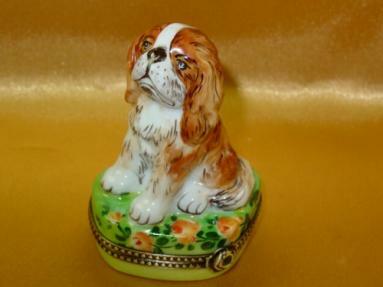 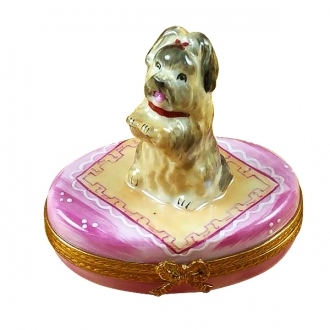 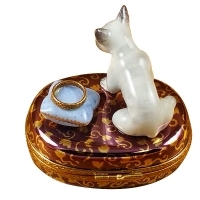 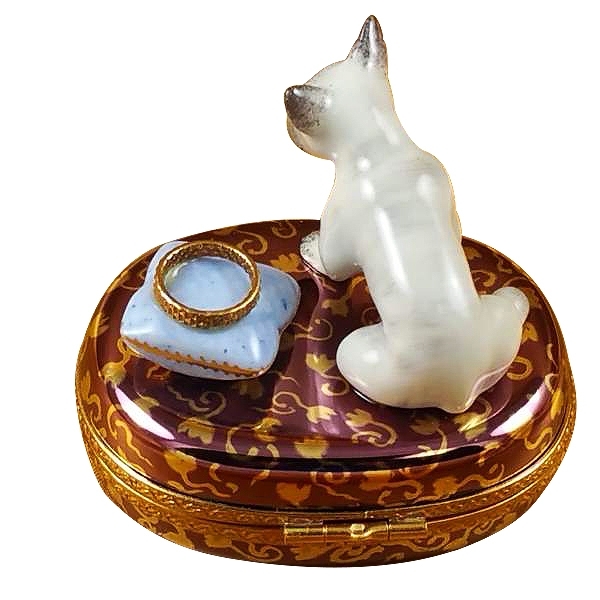 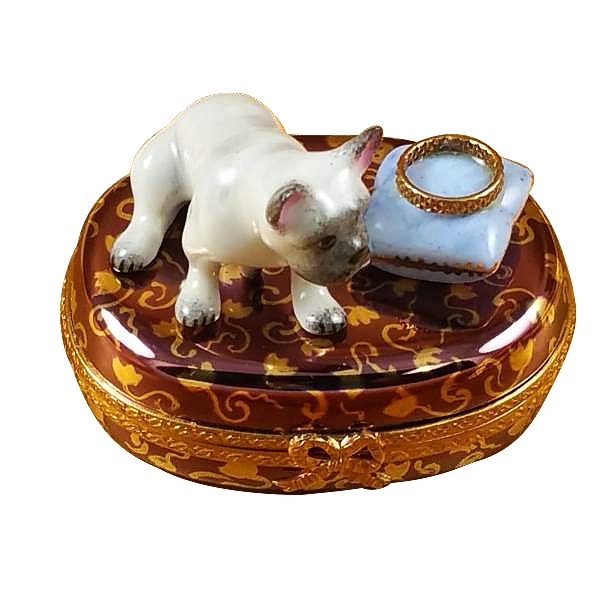 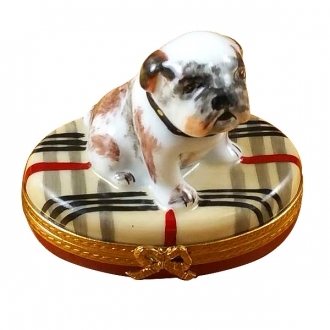 French bulldog - Limoges Boxes and Figurines - Limoges Factory Co. 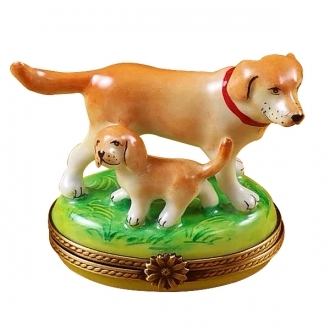 This breed of dog originated in 1500’s as a hunting dog. 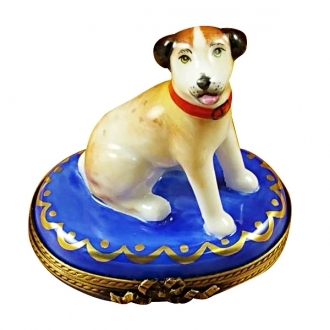 Right now, many centuries later it still remains a popular dog among many people and is loved for its loyalty and docile temper. 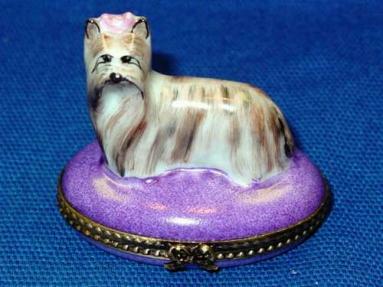 Measurements: 2,5" х 2,25" х 2"